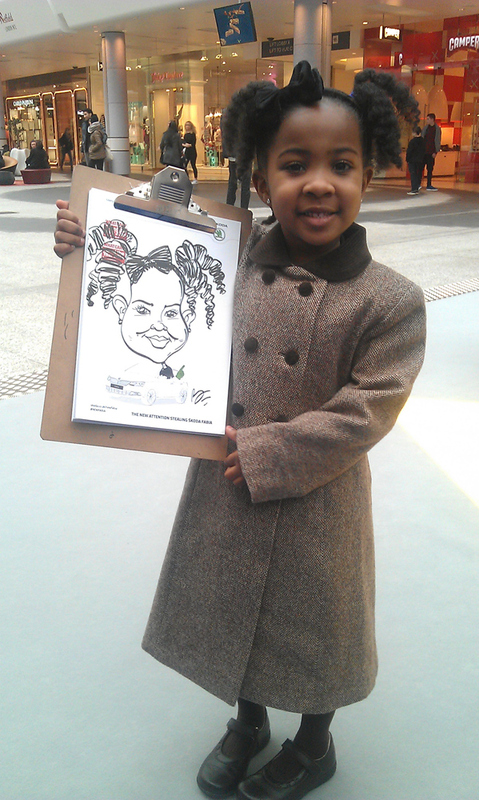 "Fabulous artist! 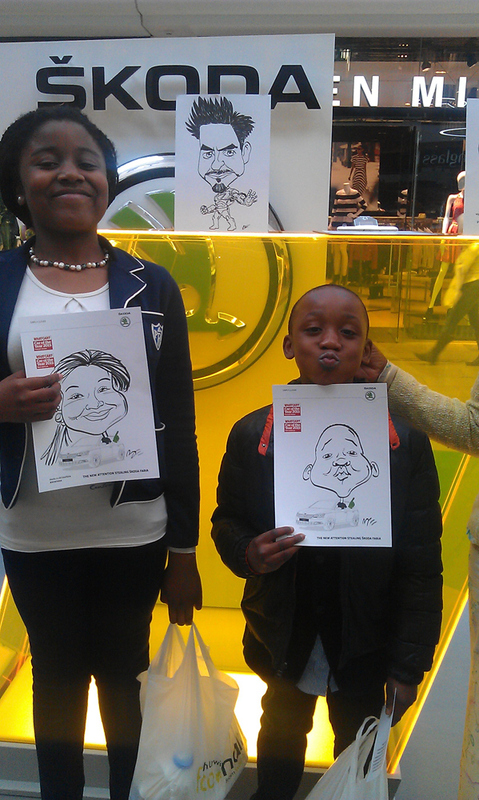 Really made the day for us!" 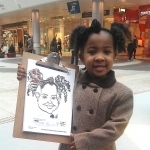 Absolutely fabulous artist! 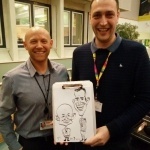 Really made the day for us! 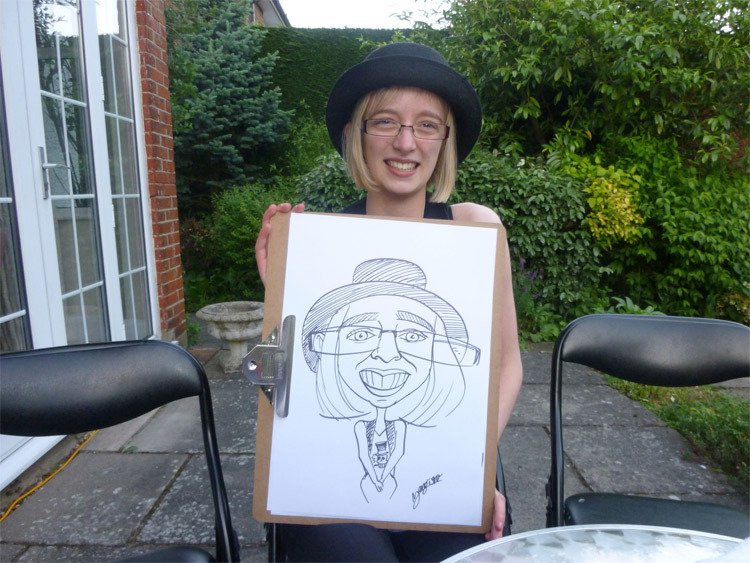 "Very professional, chatty and put everyone at ease when drawing them"
"Amazing, highly recommended, very friendly"
"Wonderful - quick and brilliant pictures"
"Meni was brilliant and a crowd pleaser!" 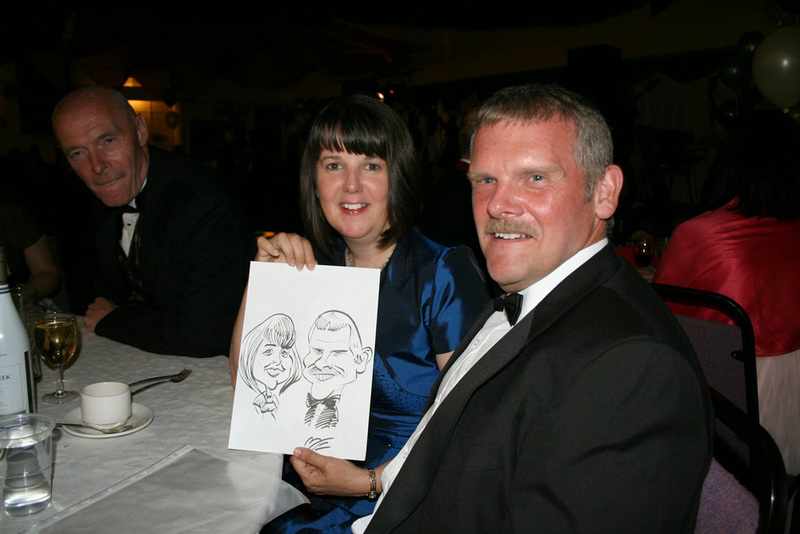 "Brilliant addition to our wedding"
"Made our evening more than a party!" 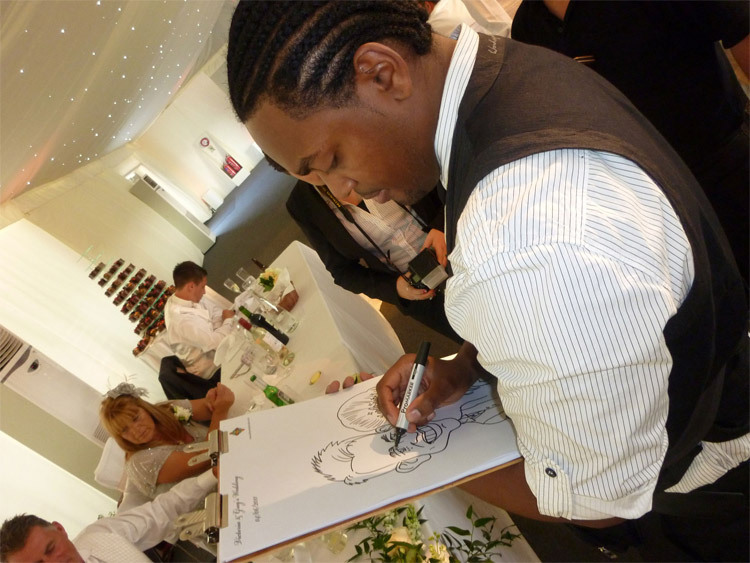 Previous clients include The Olympic Games Athlete's Village, Arcadia Group, Vauxhall and more! 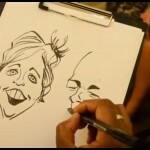 Very quick and detailed caricatures. 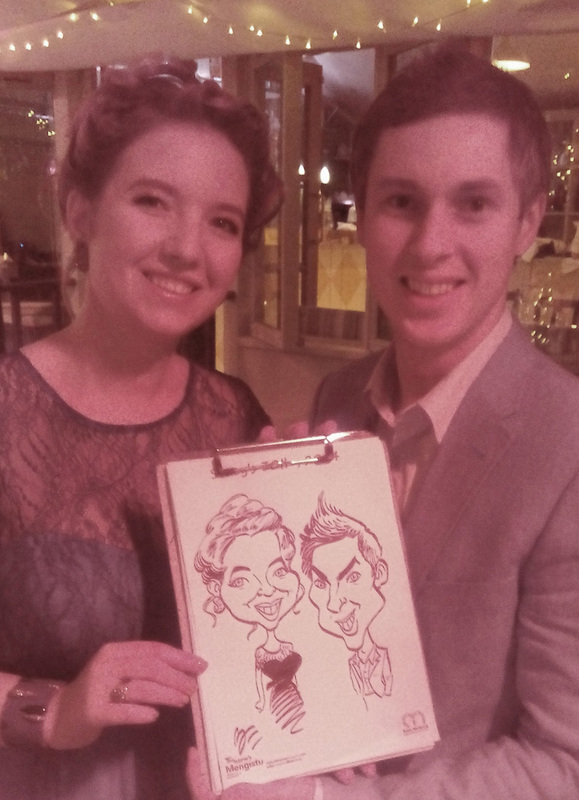 No generic faces here! 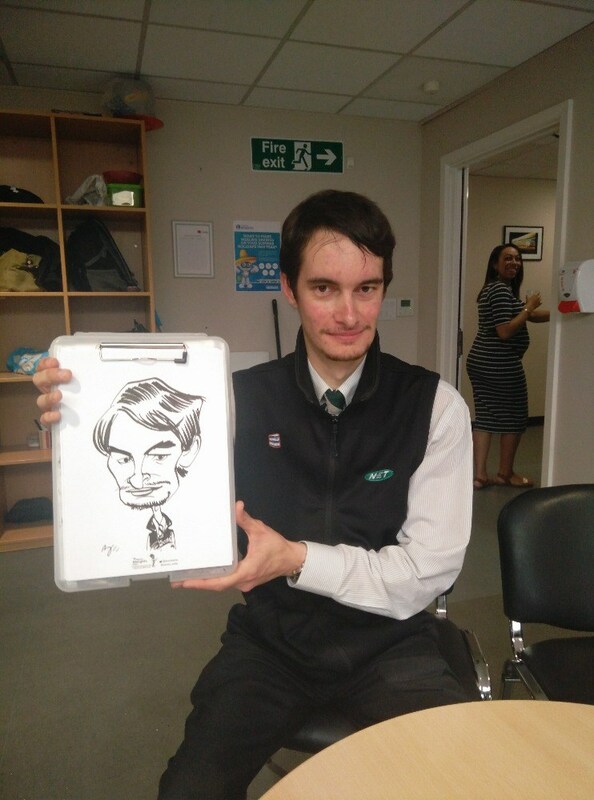 Draws a crowd, entertaining all around him as well as the people he sketches. 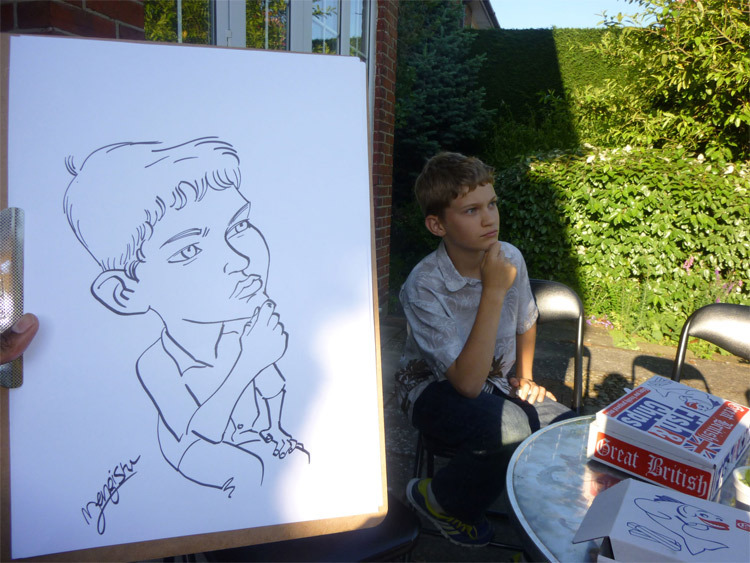 * Really quick and detailed caricatures. 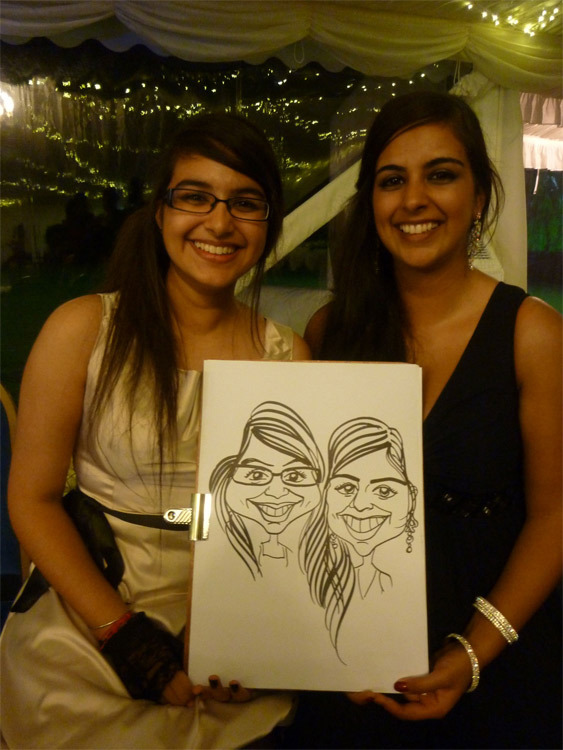 No generic faces here! 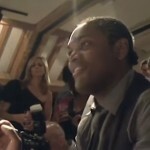 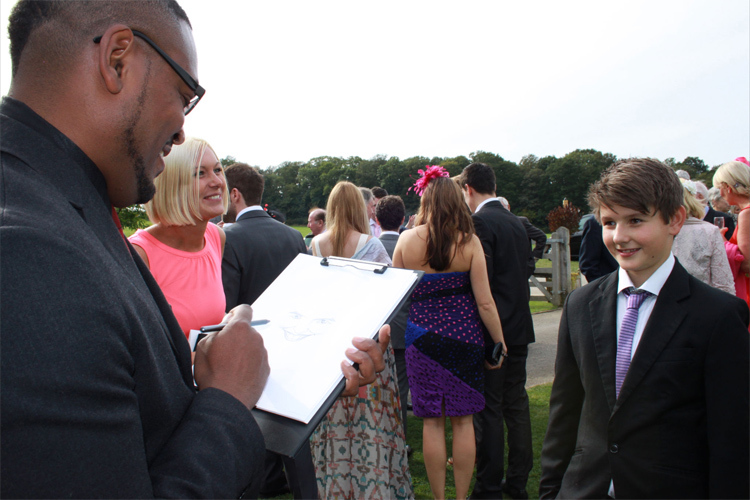 * Draws a crowd, entertaining all around him as well as the people he sketches. 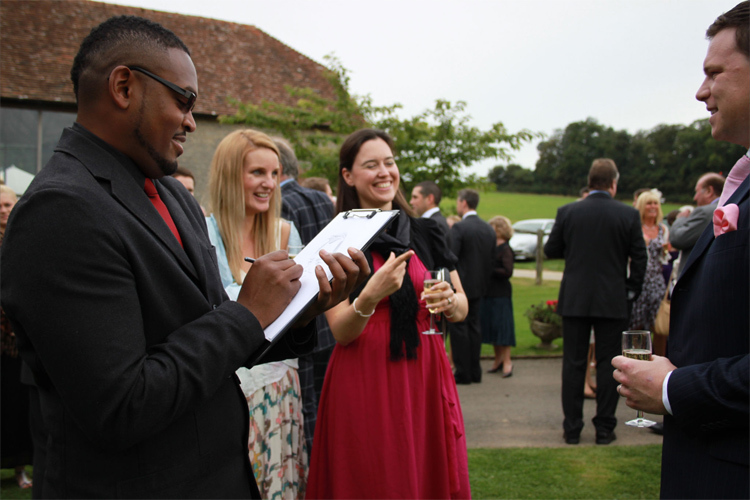 * Previous clients include The Olympic Games Athlete's Village, Arcadia Group, Vauxhall and more! 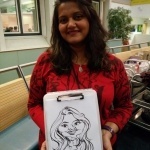 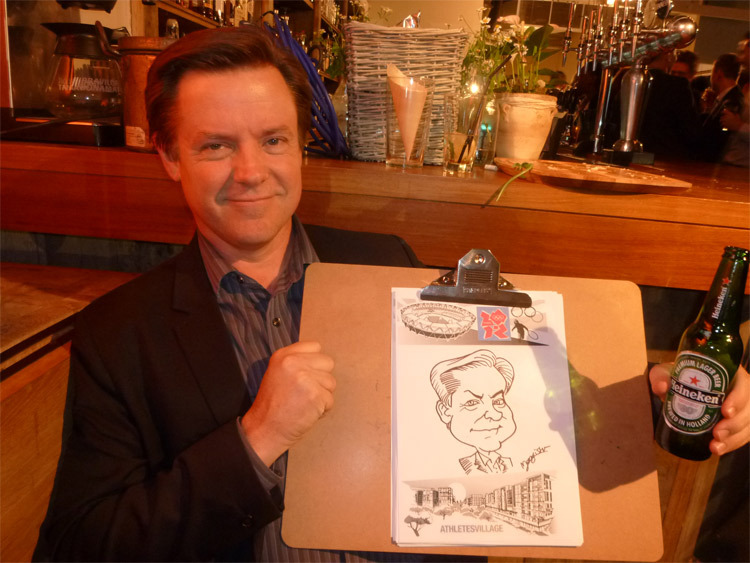 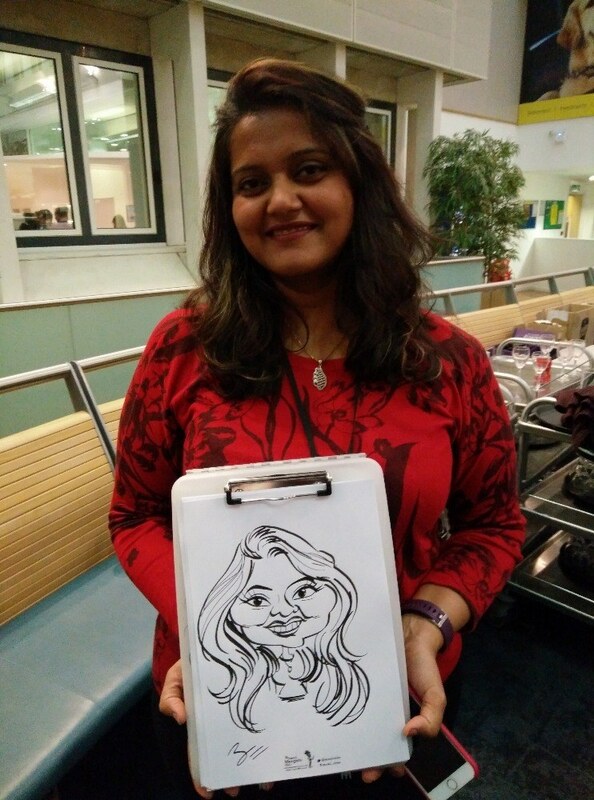 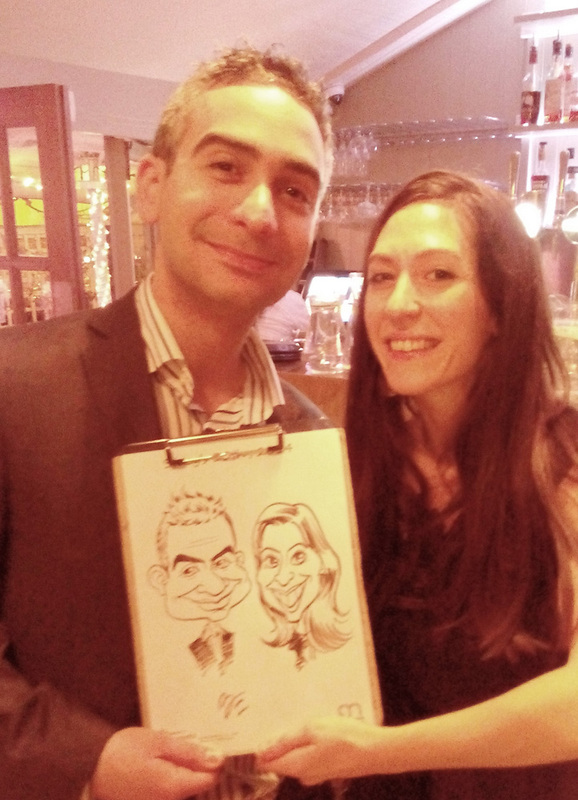 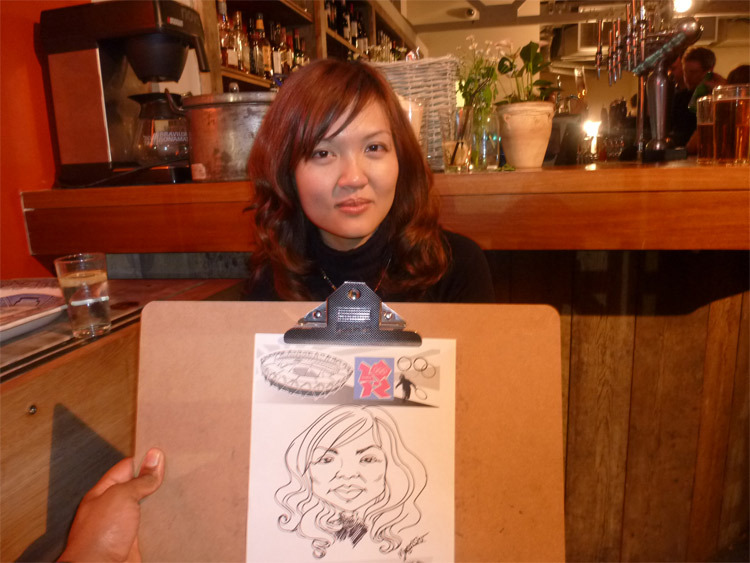 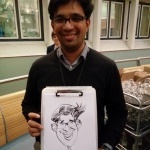 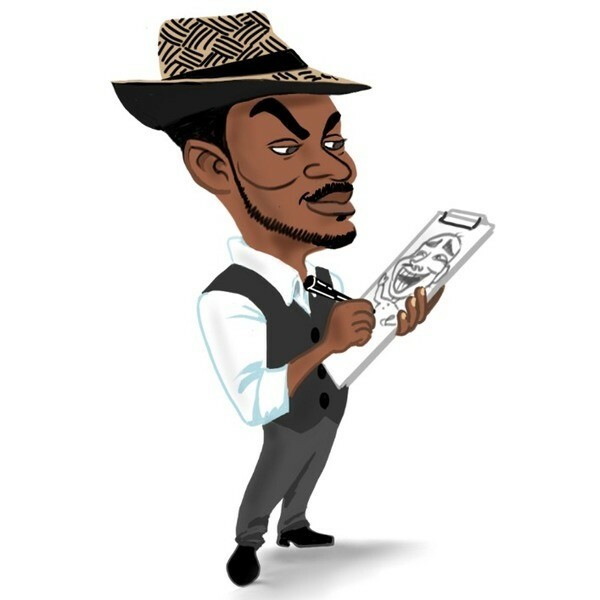 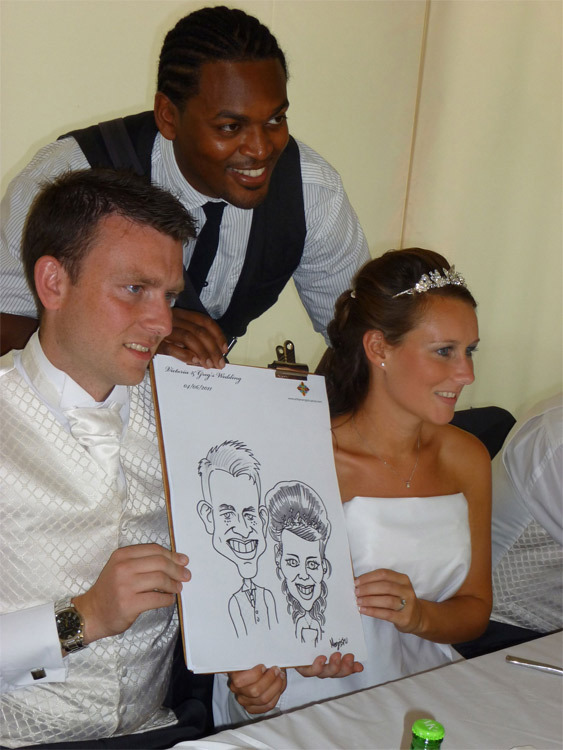 Draw A Crowd Caricatures has been drawing caricatures for weddings, parties and events since 2002.  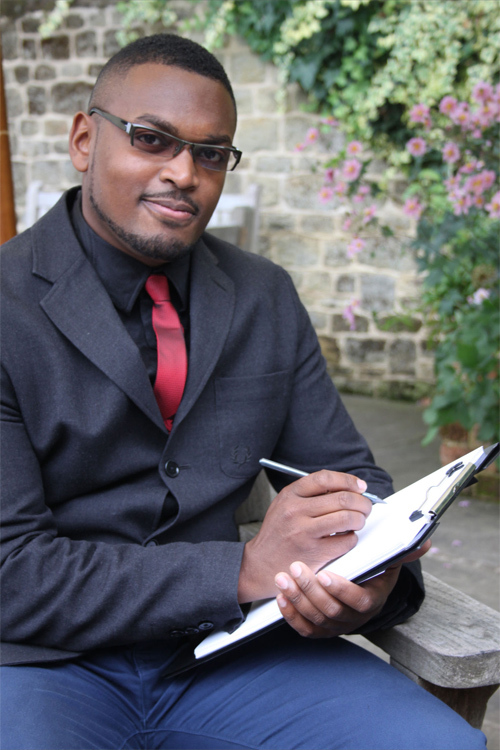 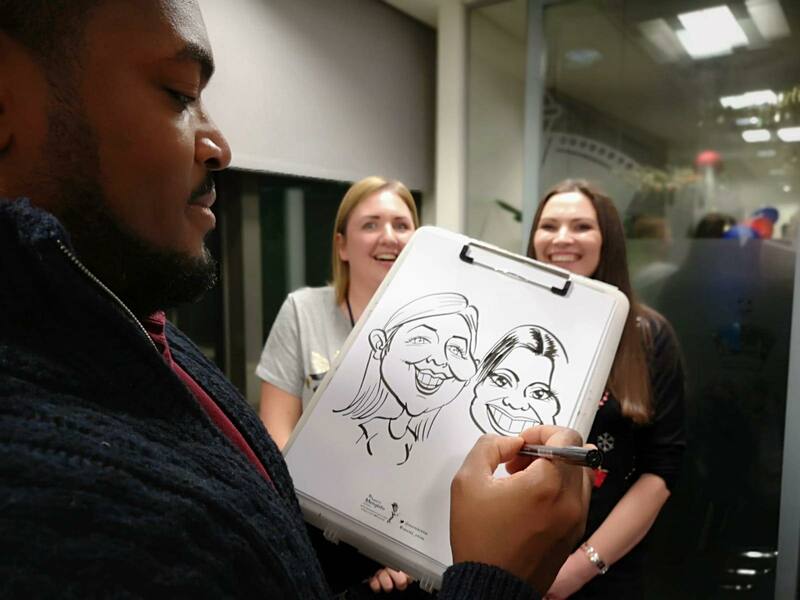 He has entertained at corporate events for Price Forbes, Virgin Media, Vauxhall Motors, Olympic Athlete’s Village, Ricoh, Irwin-Mitchell, Annual Medico-Legal Conference, and he’s made many, many Weddings and Private Parties an extra memorable experience. 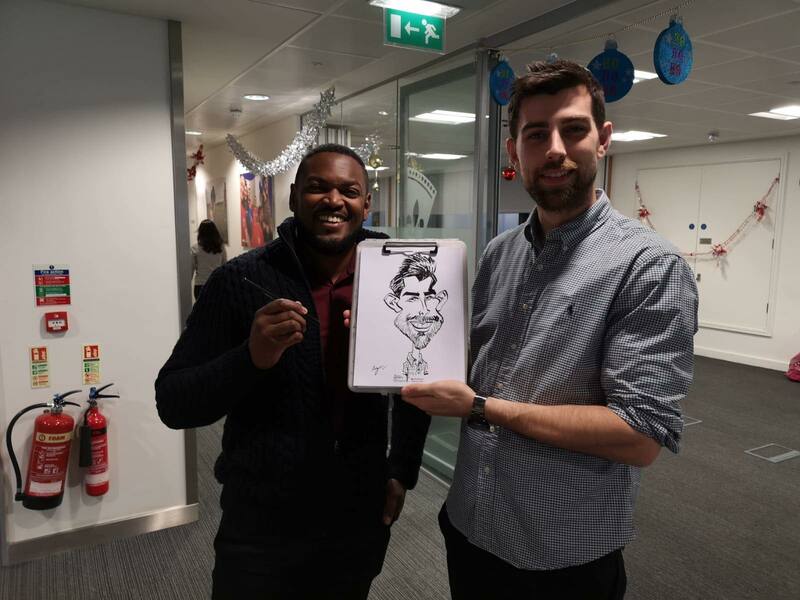 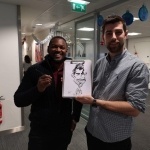 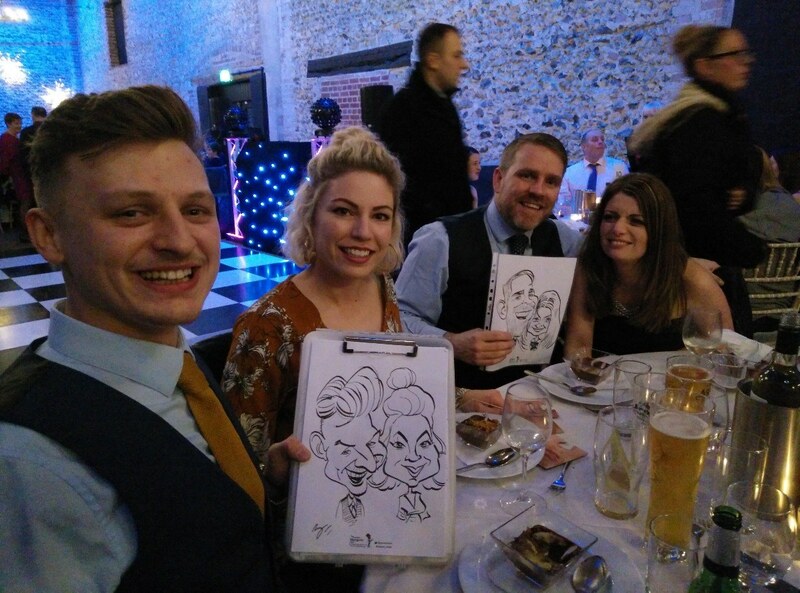 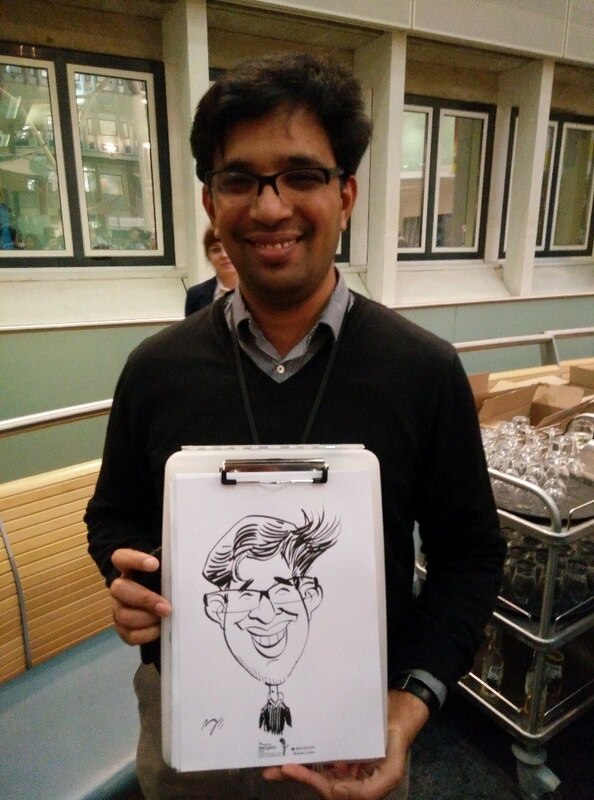 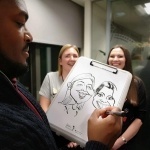 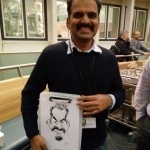 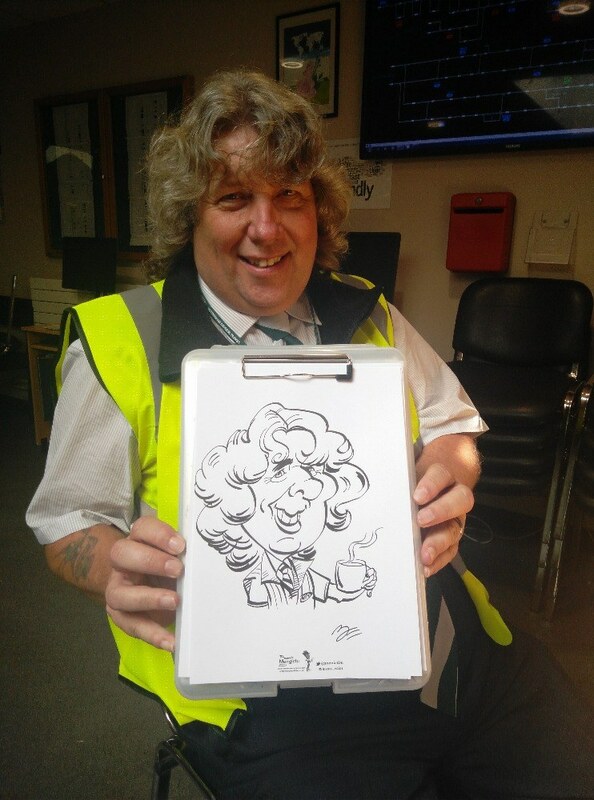 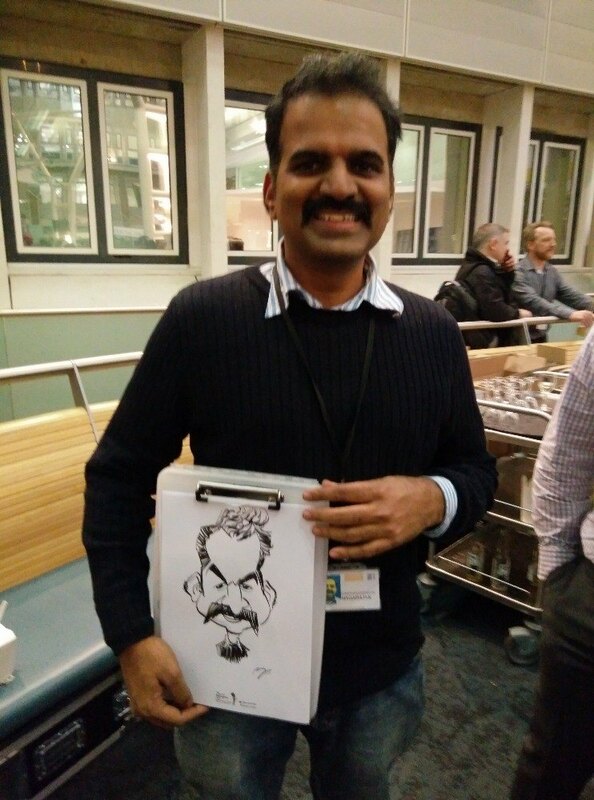 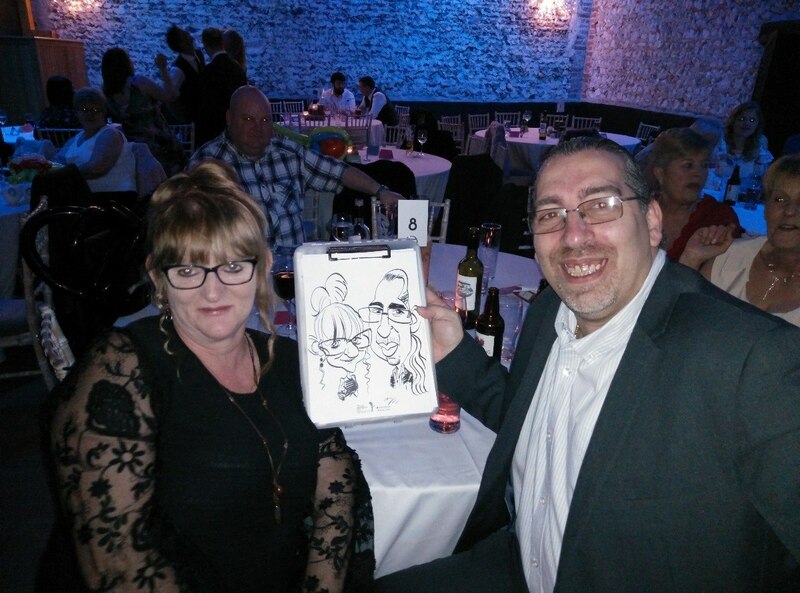 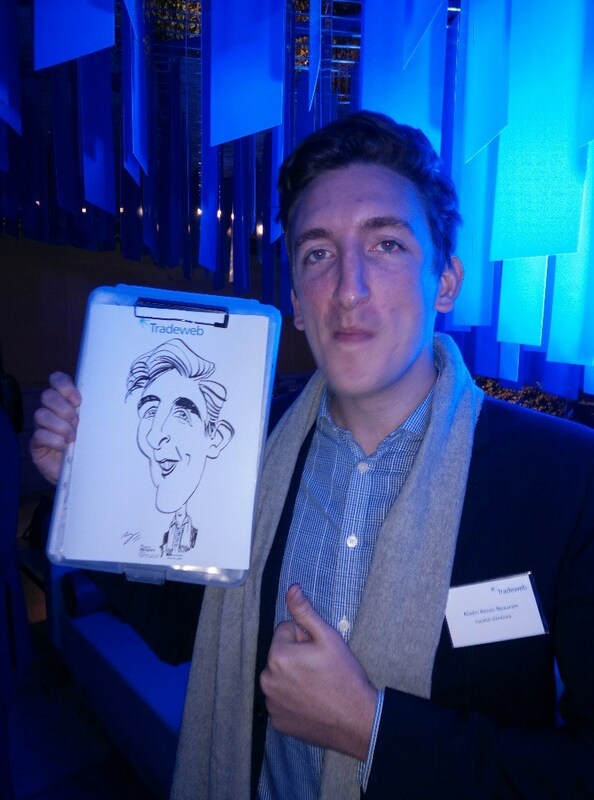 Draw A Crowd Caricatures has attended many events as a live caricaturist and is an expert at keeping everyone thoroughly entertained for hours. 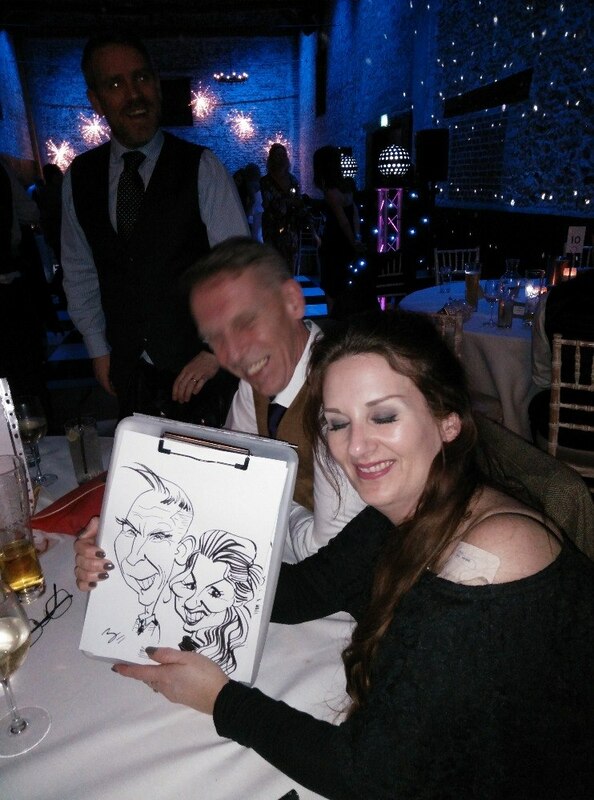 Previous clients have always found that his service brings a unique entertainment factor to the party which is talked about by their guests for weeks after! 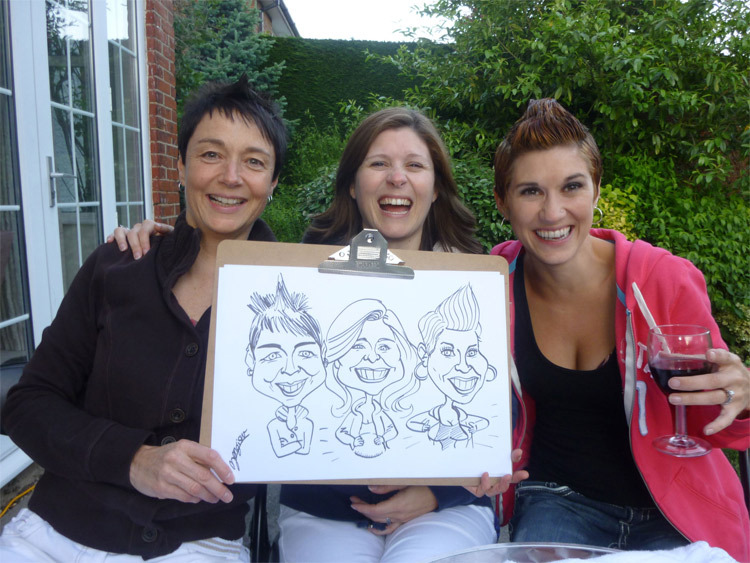 Draw A Crowd can draw caricatures of guests singularly, in couples or in groups. 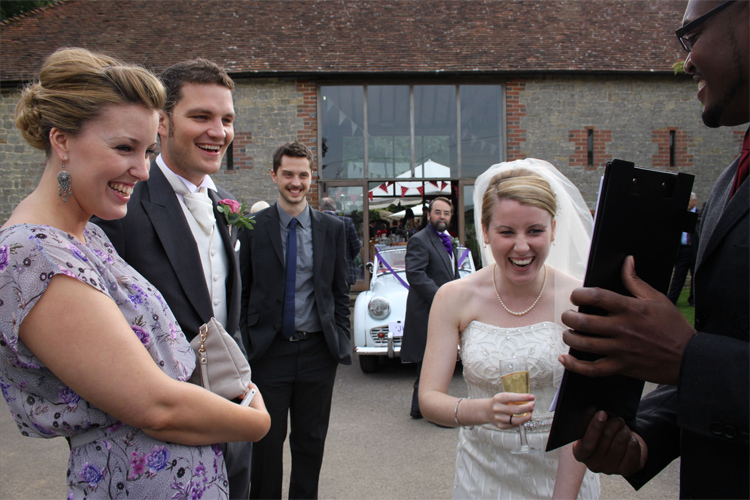 Guests then have a unique memento of your special day which they can take away with them in a protective plastic wallet. 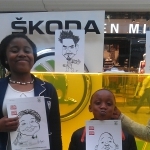 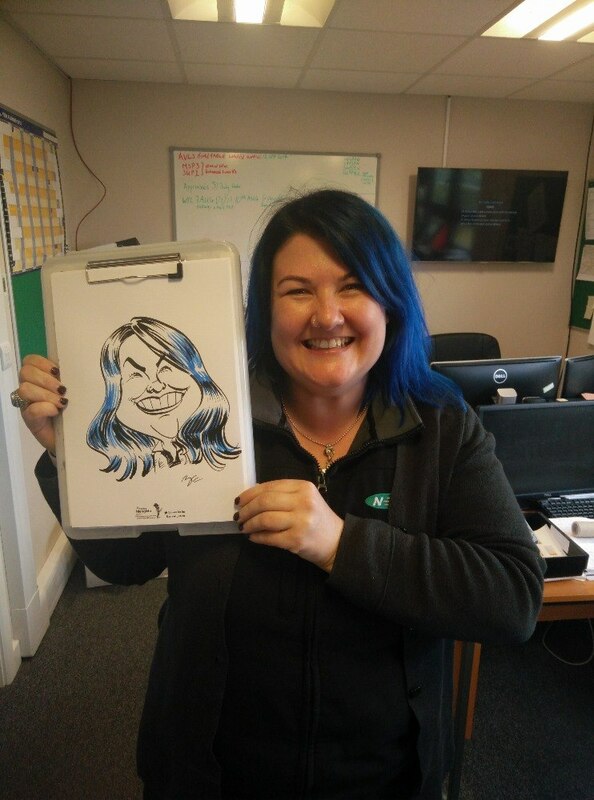 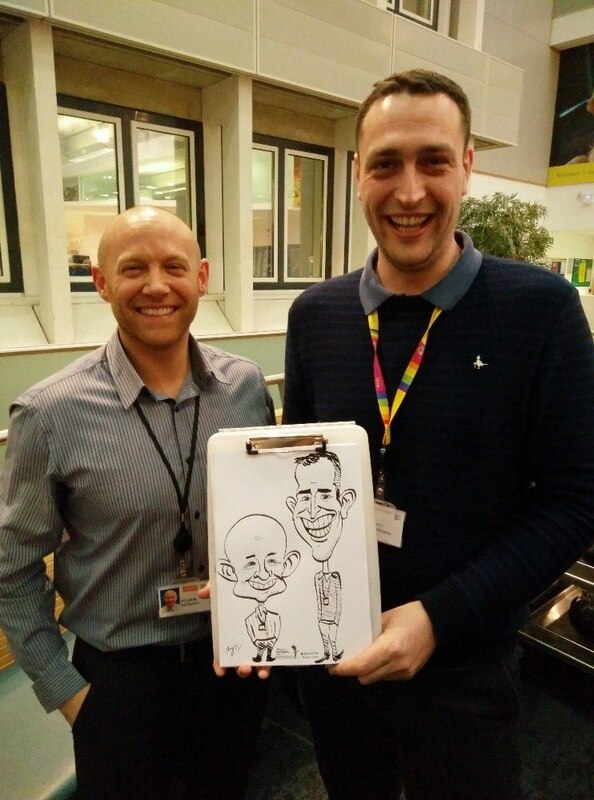 If you are looking for something a little extra, Draw A Crowd Caricatures can also provide special headed paper with company logos which is perfect for corporate events. 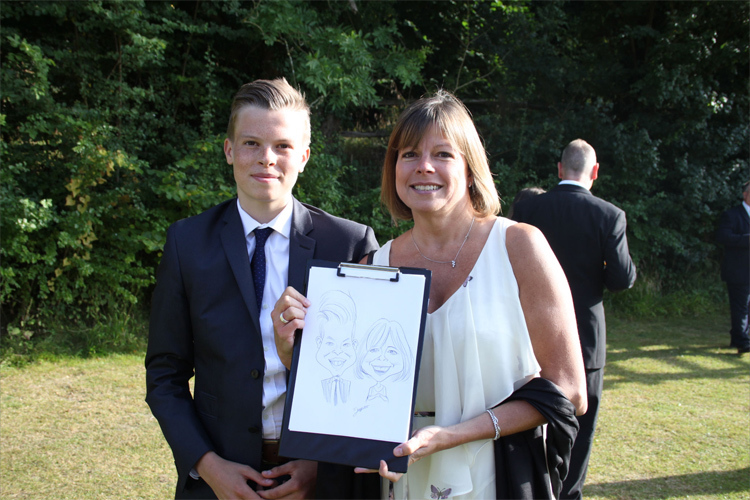 Or with a personal message to mark your Special Day! 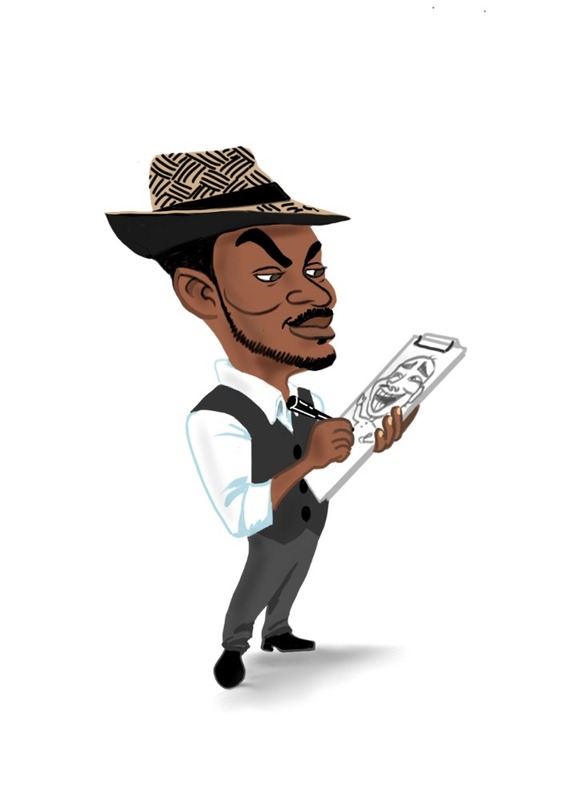 Please speak to an Alive Network booking agent for more details. 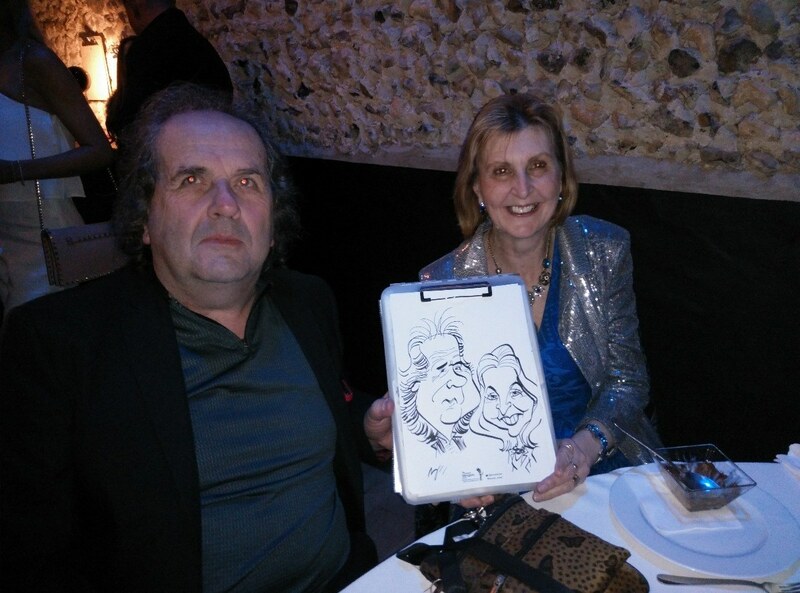 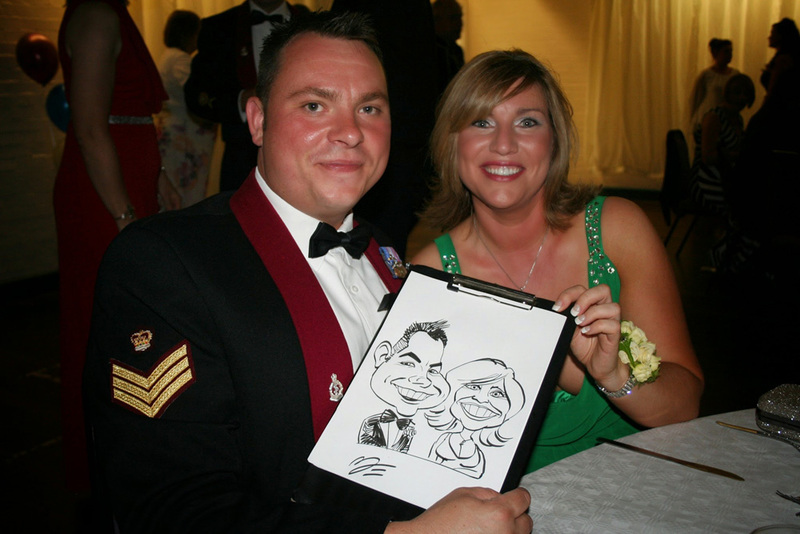 For Weddings: Pre-drawn caricatures of the wedding couple for guests to sign, wedding favour caricatures. 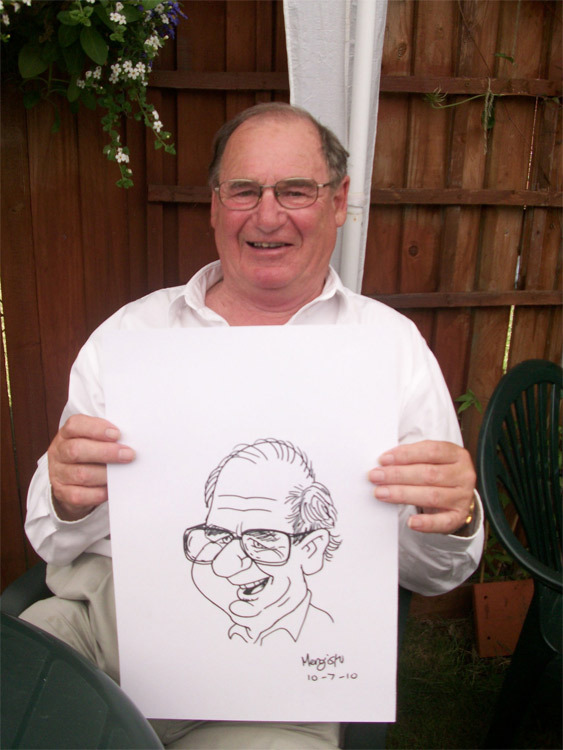 For any occasion: Gift caricatures sketched from photos. 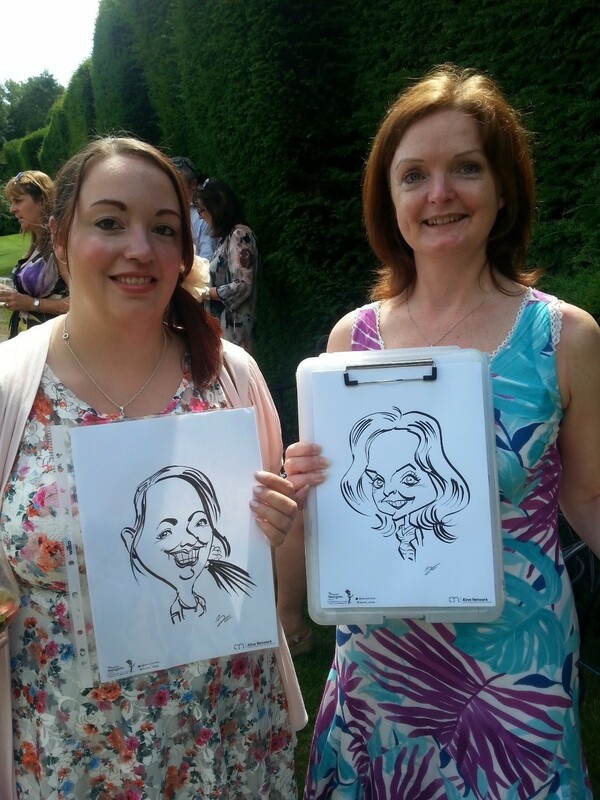 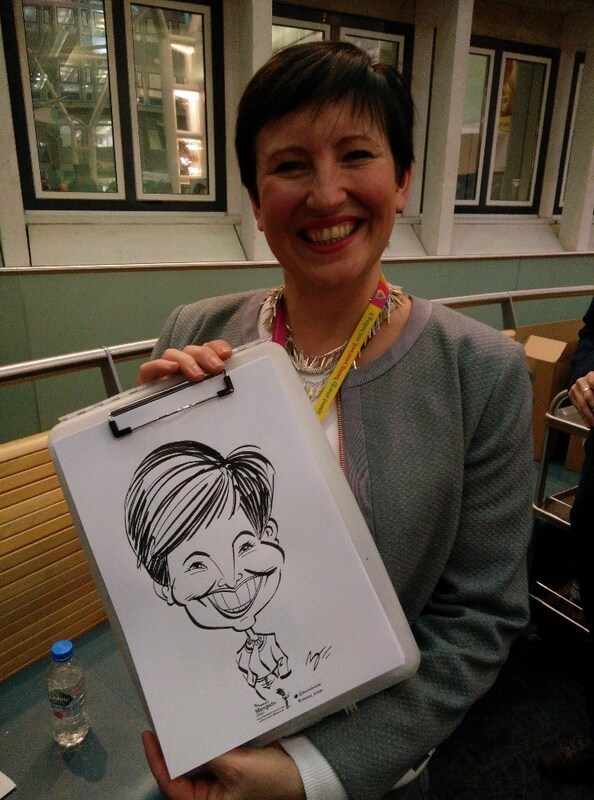 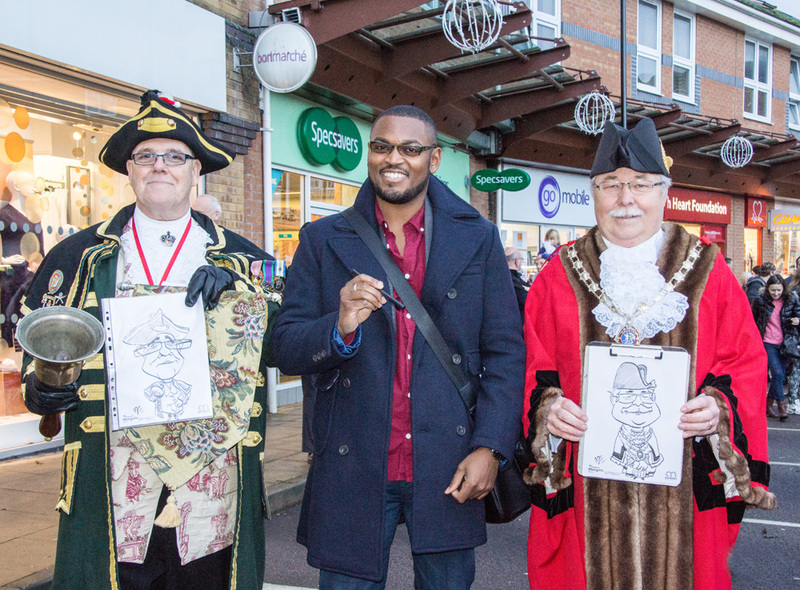 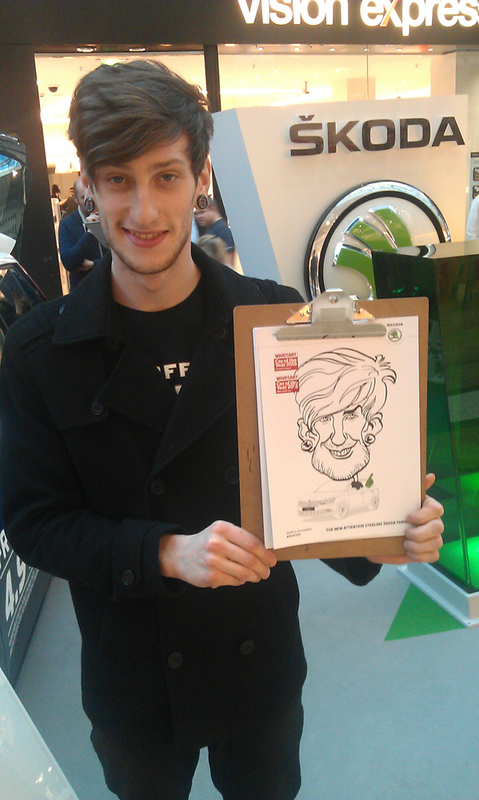 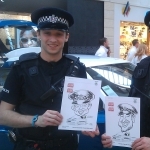 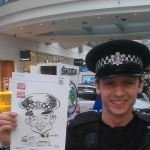 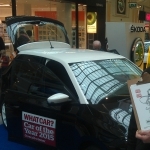 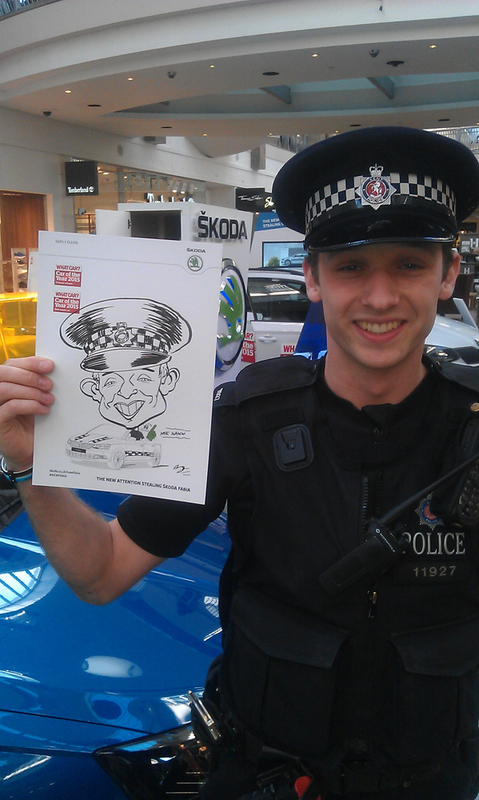 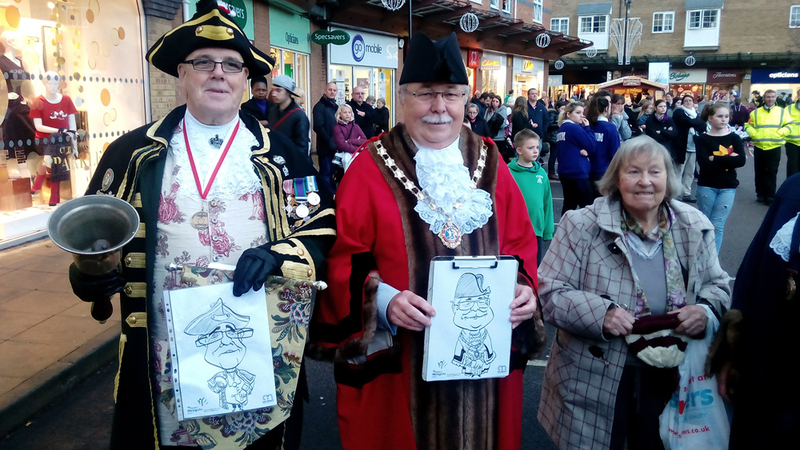 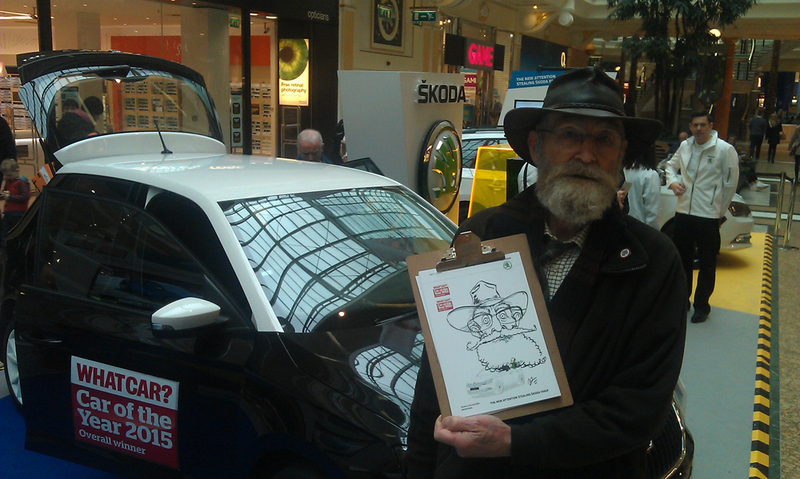 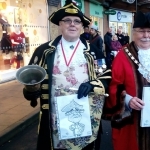 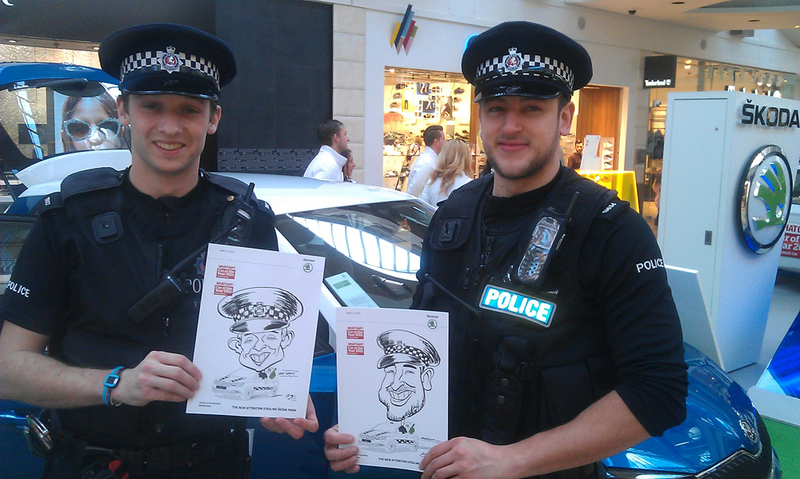 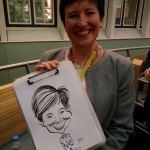 Please note: Draw A Crowd Caricatures does not take enquiries more than 6 months in advance.